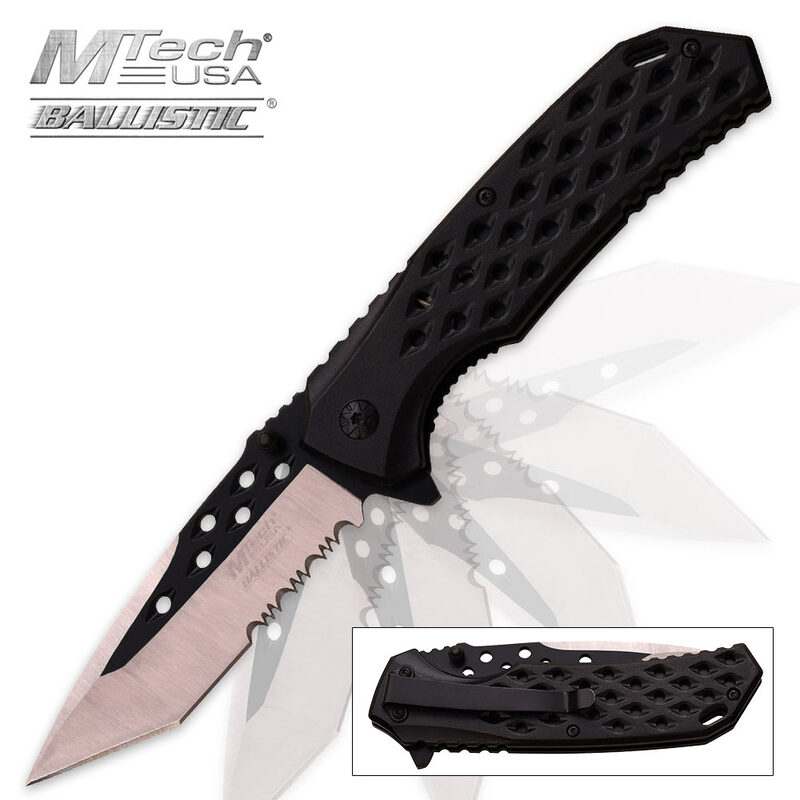 MTech USA Textured Handle Two-Tone Pocket Knife | BUDK.com - Knives & Swords At The Lowest Prices! The contrast between the black satin finish of this blade and its aluminum handle is what sets this MTech USA spring assisted pocket knife apart from all others. The blade is 3 3/4” of stainless steel and partially serrated and the handle comes in your choice of blue, black or gold. 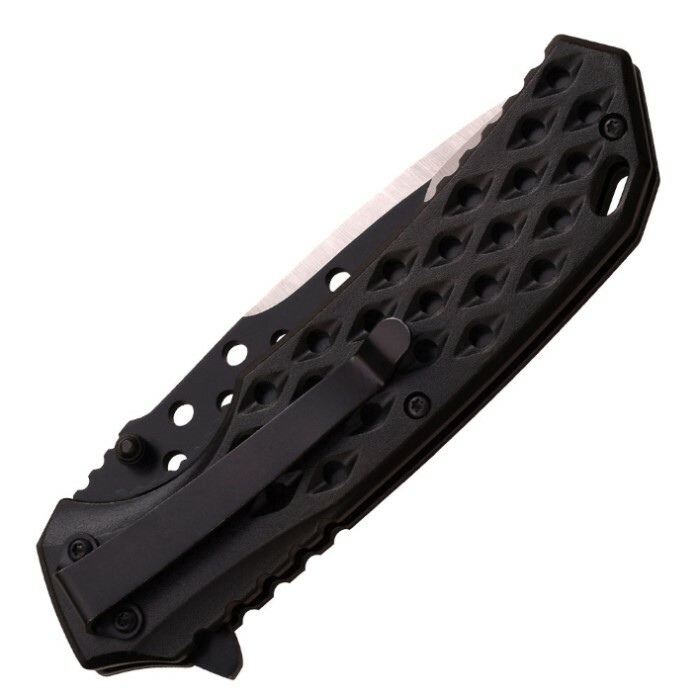 A pocket clip makes this knife extremely easy to carry, so, what are you waiting for?